Cooking without a Net: Happy Holidays! I hope everyone is enjoying the holidays. I'm having a lovely time with my family in Austin and I am taking a mini vacation from blogging. 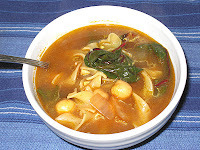 I am not doing much cooking down here, but I did make this Tunisian Soup with Chard and Egg Noodles for dinner on Christmas Eve, which received many compliments. Paired with a fresh salad and warm, crusty bread, it made for a festive, satisfying dinner that was enjoyed by the whole family. 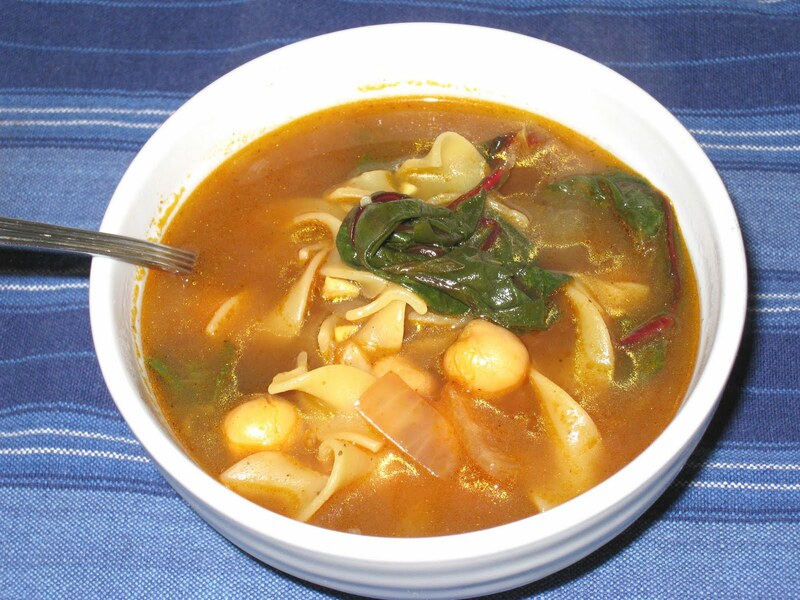 It is fast and healthy, and would also be great for New Year's Eve. I will be back in time for the New Year. See you then!